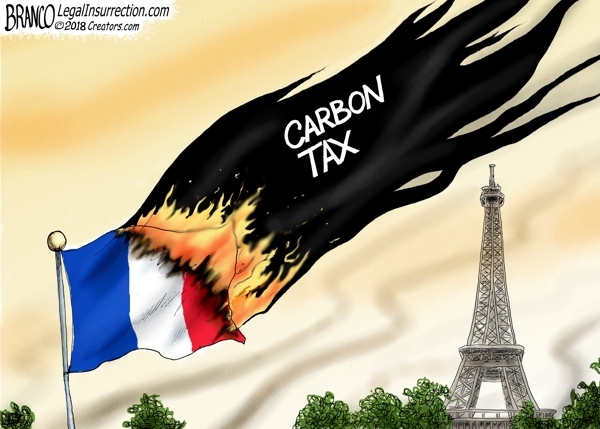 After deadly riots, France has scrapped its “Carbon Tax.” Many leftists are calling for a carbon tax here in the U.S. but say little as to how that will ultimately lower CO2 levels. Political Cartoon by A.F. Branco ©2018. Used with permission. More here.